So once again the Skytrain stalled in Vancouver in between Royal Oak and Waterfront yesterday. Must have been the heat that caused it. Mad and scared some people pried their way out the train car doors and began walking on the tracks in a bid for freedom. Not the brightest idea but again… It must have been the heat. 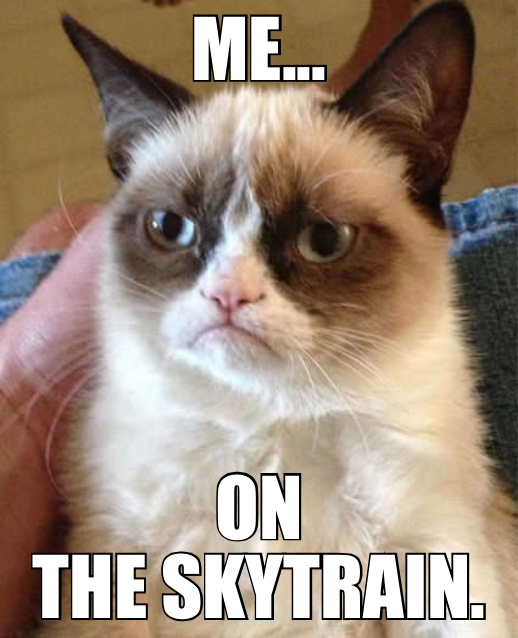 Grumpy Cat, humor, memes, Skytrain, Vancouver. Bookmark.